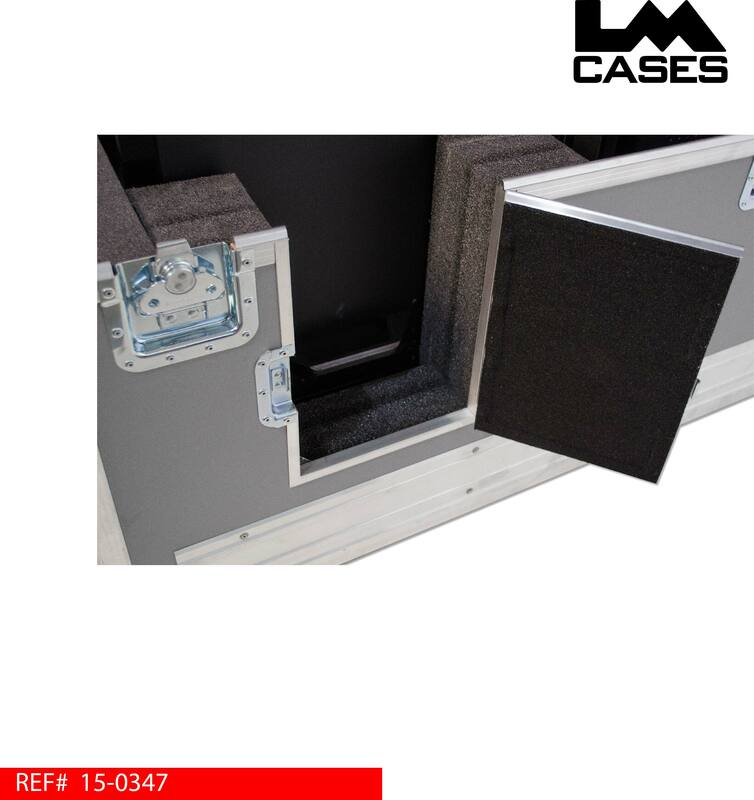 This case was designed for Smart Technologies to transport a 6065 display to trade shows. 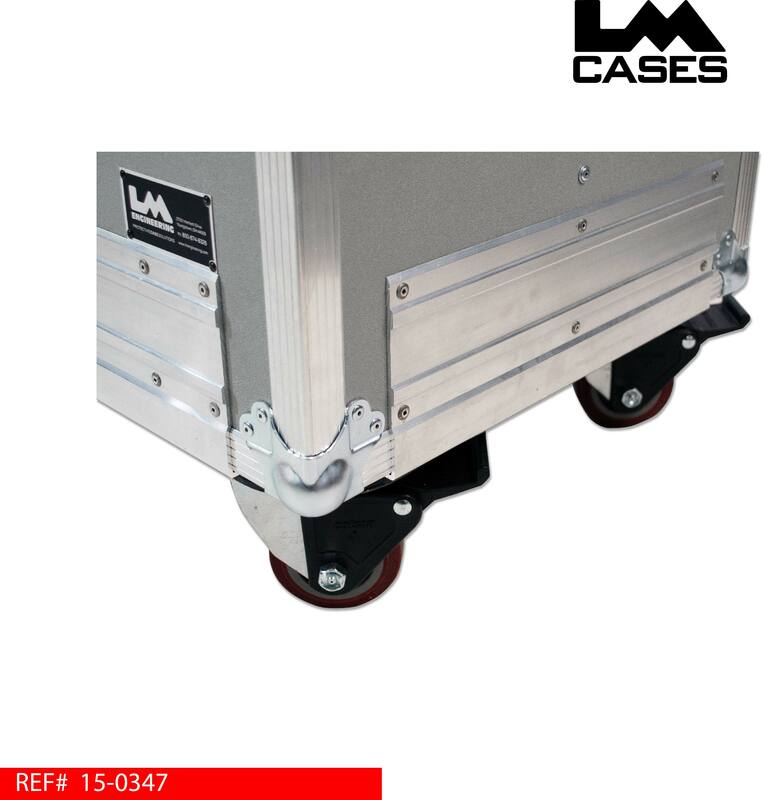 The case is designed with ergonomics as a top priority allowing for easy loading/unloading in addition to moving the loaded case from point to point. 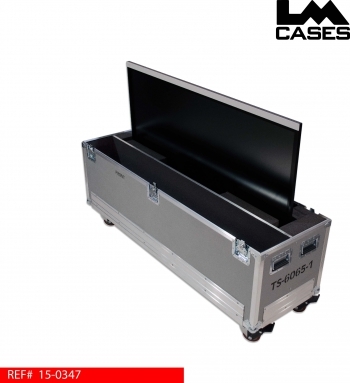 The case interior features a Crosslink foam lined compartments to hold the monitor. Crosslink foam is a Class A material that not only absorbs shocks and impacts, it also will not scratch the delicate surfaces of the monitor; an accessory compartment is provided to hold peripherals. The monitor compartment features trap doors allowing access to the lift handles located on the back of the monitor for easier loading & unloading. 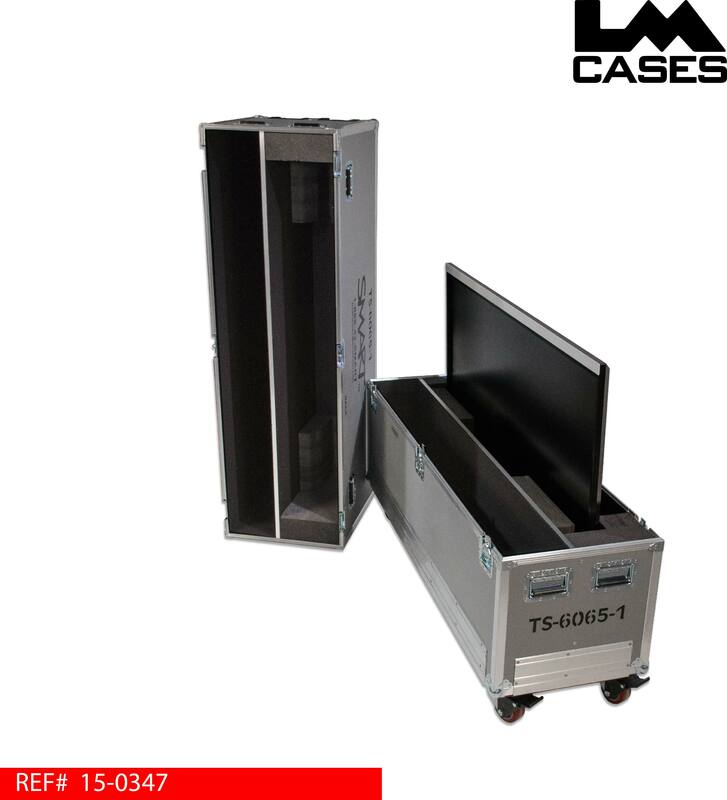 The exterior case is built out of 1/2" plywood laminated with silver ABS plastic. 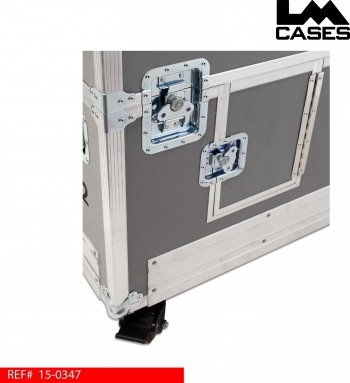 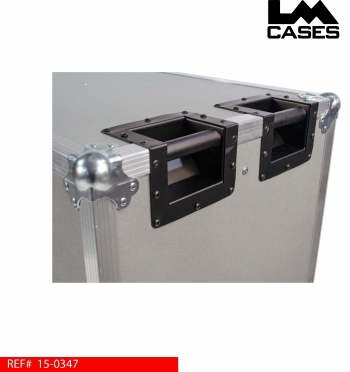 The exterior features recessed corner handles allowing maximum safe leverage when pushing the case. 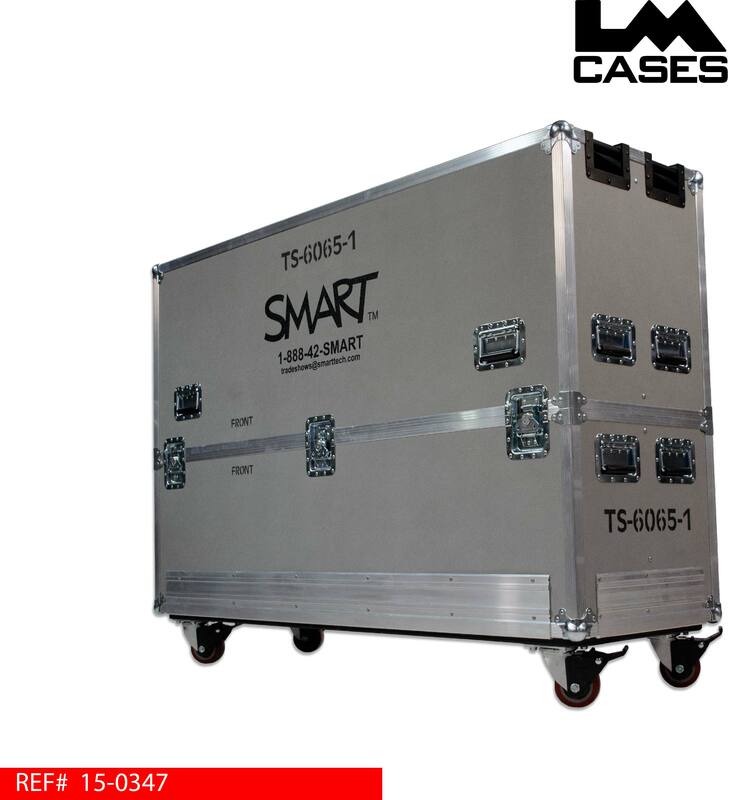 The exterior also featured deep recessed handles, 4" x 2" Colson casters, forklift guard, stencils and a custom silkscreen of the Smart logo.